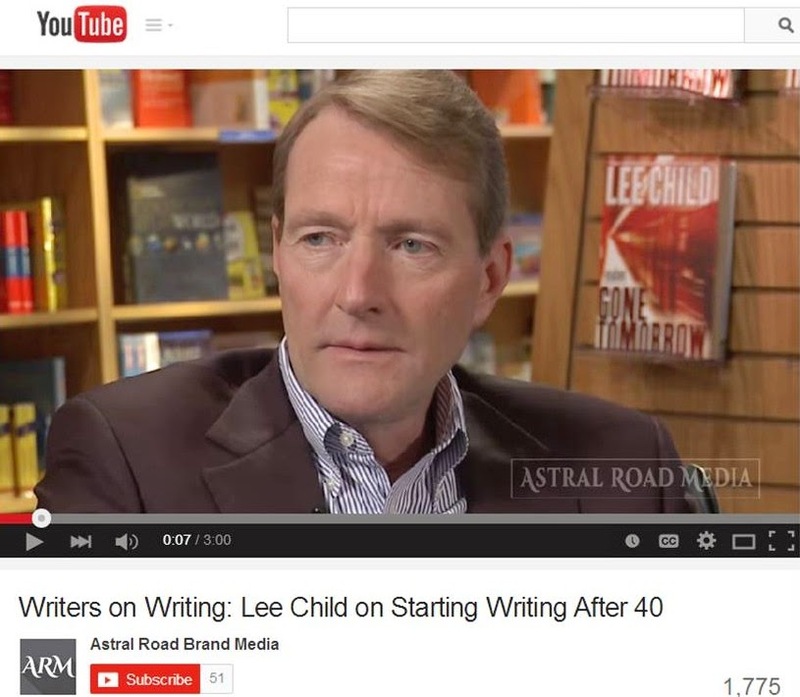 British novelist Lee Child came to writing later in life, after age 40, when he lost his corporate job. In this interview, he notes that starting late as a writer is as it should be. He says, "This is a great career because not only can you but you should start late." He believes that the experience emerging from living and reading become assets to writers, who are essentially observers of the human condition. Of course countless great writers reached great success in their youth. Nevertheless, Child is encouraging to late bloomers during this three-minute chat. 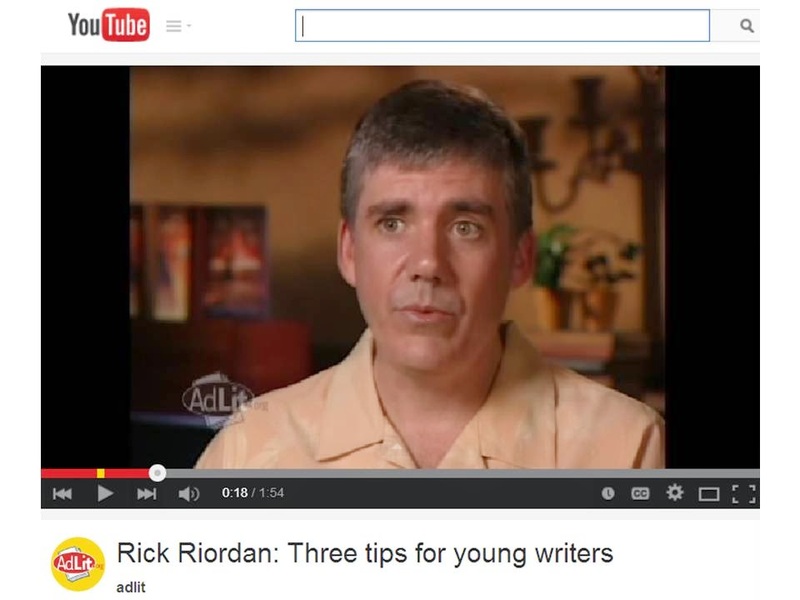 I cannot stress enough in my teaching these three simple tips from author Rick Riordan for aspiring writers: read a lot, write a lot, and don't give up. Of course, many do give up because of some fanciful notion they have about what it means to be a successful writer. For most writers, success means not wealth or fame but the ability to work at the craft in spite of the obstacles that life and the profession throws their way. Listen carefully to this two-minute talk, and go back to work. Writing is work. Hard work. Work that might lead you down a dead end. But we do it because at its best, it reveals something about us as we deal with others and ourselves in this mystery called life. 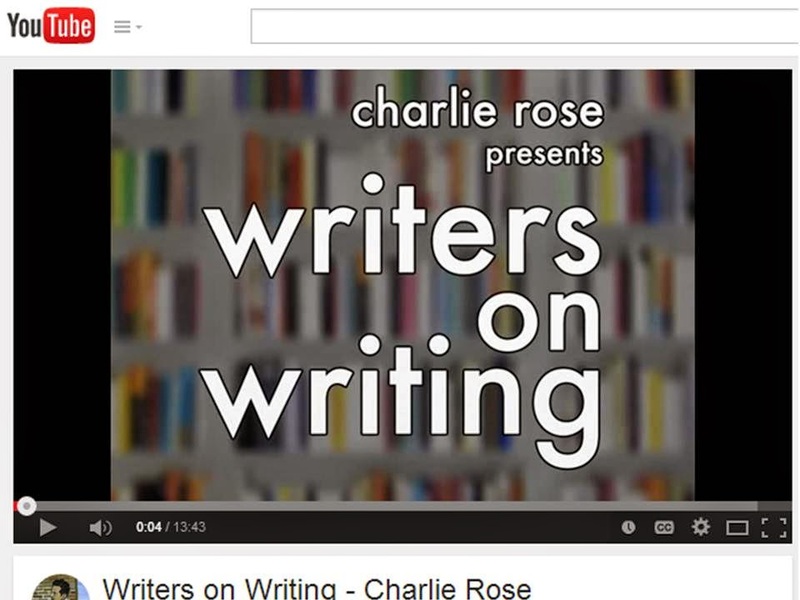 Renowned interviewer Charlie Rose has featured numerous writers on his PBS program, and this 14-minute video includes segments from six of them: Martin Amis, Zadie Smith, Malcolm Gladwell, Joan Didion, Jonathan Franzen, and Fran Lebowitz. It offers a range of writing-related issues, including observation, style, writer's block, and productivity. This post marks the 611th of WORDS ON THE LINE, precisely 10 years after I wrote the first one. Anyone who knows me would say that I stick things out, but I did not imagine when I started WORDS ON THE LINE that I would be blogging for as long as I have. I thought it might have a chance to outlive the gestation period of an elephant (1.8 years), but it has now outlived the average American marriage (8 years). I can truly say that this blog was the beginning of my growing into an international consultant. For nearly 19 years after graduating from college, I taught and evaluated writing part time in corporate, government, and academic environments. In 1996, I jumped into communication consulting full time when I quit my job as a marketing director for a nonprofit agency and started my own business. 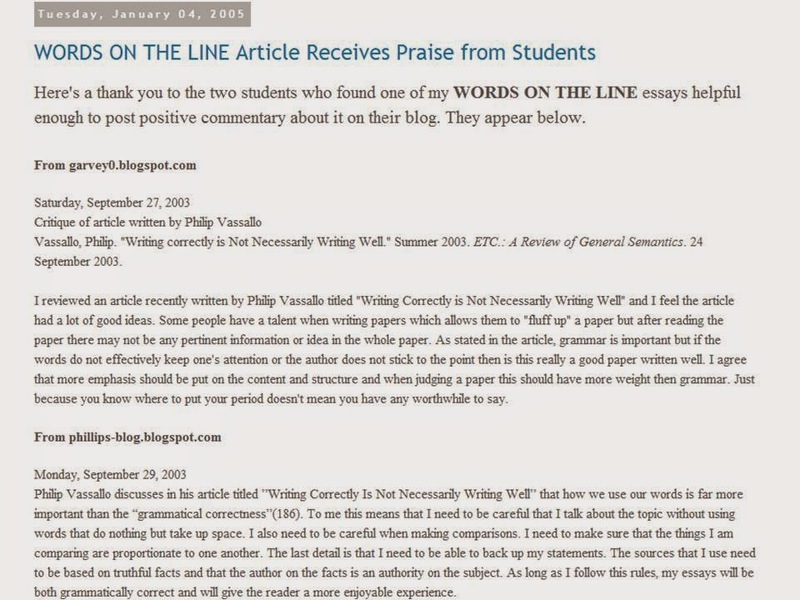 During the next few years, I wrote numerous articles for the Institute of General Semantics the National Council of Teachers of English, the Star-Ledger, and started work on my instructional books The Art of On-the-Job Writing, The Art of E-mail Writing, and How to Write Fast Under Pressure. But it wasn't until around the time I began the WORDS ON THE LINE blog that I was traveling throughout the United States, India, China, and Malta on business. My webinars for several organizations are expanding their reach, and I am fielding questions about writing and assessing documents from the farthest reaches of the planet. Expect more of the same from WORDS ON THE LINE.